This wrap-dress from Target is one of my favorite pieces. It's just so easy to wear and it looks professional, which is great on those days that I just don't have time to think about what to wear in the mornings. I actually bought this dress the same day that I found out I got my first professional job, so it even has sweet memories for me. Target no longer sells this dress, but I did find some similar at The Limited, Banana Republic, and GAP. Which way is your favorite? Do you have any versatile items that you continue to wear over and over again? **Linking up with Whitney and Fran for "5 Days, 5 Ways"
I love these types of posts, because I love creating as many outfits as possible with a signature piece. I love the scarf outfit, because the tights and scarf patterns are so fun together! Thanks Ashley! I wear my clothes over and over again (like most people, I suppose), so it's fun to look back and see all the different ways I've worn things. I love this! The first and second looks are my favorite. I love those patterned tights/leggings too. Cute! I love that necklace in the first look! Those are all the rage right now, it seems like. Thanks, Amanda! I've gotten the impression Bubble necklaces are kind of "over," but I still like the way they look, so I'm going for it! That second way you wear it... With the patterned tights and scarf!? I love ALL looks, but that's my favorite!!!! I love this dress and these looks!!!! That's awesome, that people think you are so versatile! I don't spend a lot on clothes, so thinking of new ways to wear things is always a lot of fun! Oooh I like that idea - I'll have to give it a try when the weather warms up a bit! 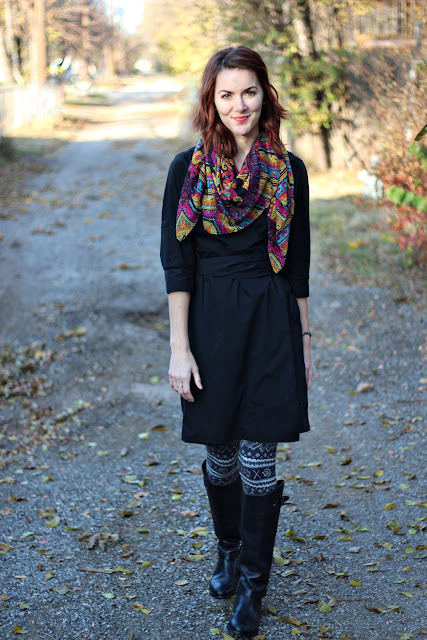 i love wrap dresses for this reason - they are very versatile! love it with the patterns! Exactly! I'm hoping mine lasts for a while longer - I really do wear it all the time! I love that dress. I own a similar black wrap dress, same material too, from The Limited. It is a classic piece that goes with so much. First look is my favorite. I also like the second look with the 2 diff. patterns. I also followed suit with the challenge today and remixed 3 different dresses, actually. The wrap dress is so classic - especially in black. Yay for having such a versatile piece! Wrap dresses are so versatile. I really love the pattern play you did in the second outfit. The scarf and tights are so fun! I love how you threw a sweatshirt on over your wrap dress! Beautiful! Thanks Brittany - doing my best to "winterize!" By the way, what program have you used for that top collage? I love it. Please let me know. Thanks. Hi Ada! I used Photoshop! This dress has a great shape and looks amazing on you! I love the first one. so simple and classy, and that necklace is amazing! Well, thanks! I am so glad I picked up this dress at Target a few years ago! All the looks are great! y fav is the patterned tights with the scarf. I love these kind of posts. Thanks Paige! Hopefully I can do more posts like this in the future! All of them are so cute! Love it! I love the pattern option! Very pretty and feminen. Thanks, Jade! I do love mixing patterns! Those patterned tights you have are awesome - what a perfect winter accessory! Thanks Heather! I went to Colorado over Christmas and I was super excited to wear them there, haha! My favorite look is the one with the statement necklace because it is so simple and chic, but you can't beat those patterned tights! Great job! Thanks Ana! The patterned tights are one of my favorite wardrobe items! They are all so good I can not choose the best. Great post! That scarf in the second outfit is to die for--I love all the colors! What amazing ways you have to style this dress! Thanks Whitney - it's fun to look back and see all the different ways I've worn the dress! ooo i love when bloggers do posts like this- it's so fun seeing how far you can take a dress. My favorite one is the second one- i love the different patterns between the tights and scarf. it's so artsy and fun. and i like the third one too because i love the collar popping out! Omg I love this!! 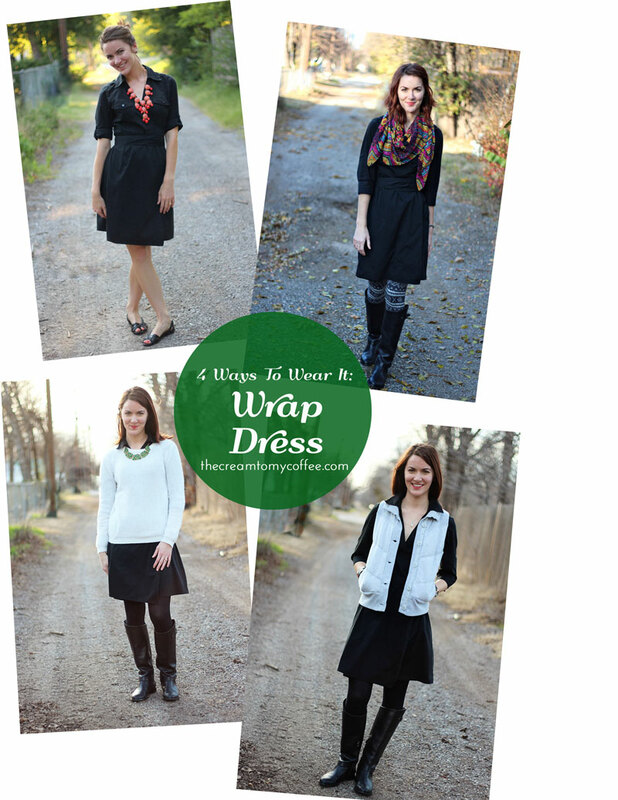 Such great ideas, and I'm always looking for ways to jazz up my wrap dresses. Thanks so much for taking the time to find me! 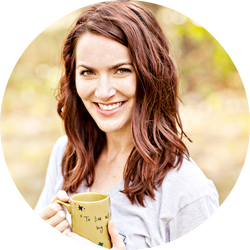 I love your whole blog, and I'll definitely be following via Bloglovin! Thanks Kaitlin! I am so glad you are here! I love a good versatile piece! I have a black dress that I also like to mix up! It's a great piece to have in the closet! Thanks for sharing! I happened upon your blog and am your newest follower. I would love if you’d visit me at : the daily savant : and follow if you like! I also have a giveaway on now! I am so glad you stopped by, Singe! Happy Easter to you & hubby! You are so sweet, thanks Ada! Great idea for a post! The second way is my favourite, I think. The tights and scarf are such a fun print! Haha, I would have done the same thing! Thanks for stopping by, Sabrina! This is so gorgeous! 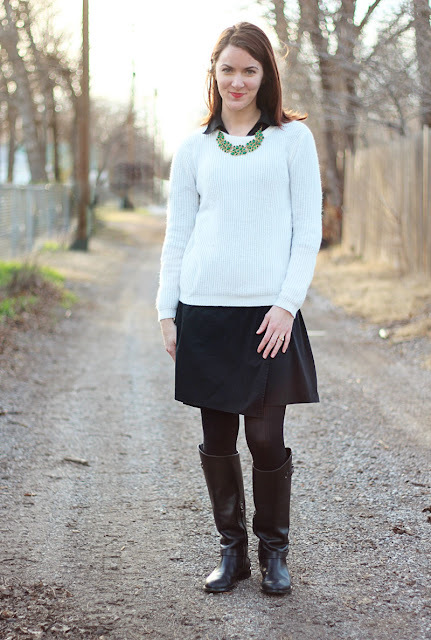 Love the ways you styled it! Wrap dresses are so flattering! I need more of them in my life! Love the way you styled yours, especially with the patterned tights and scarf! 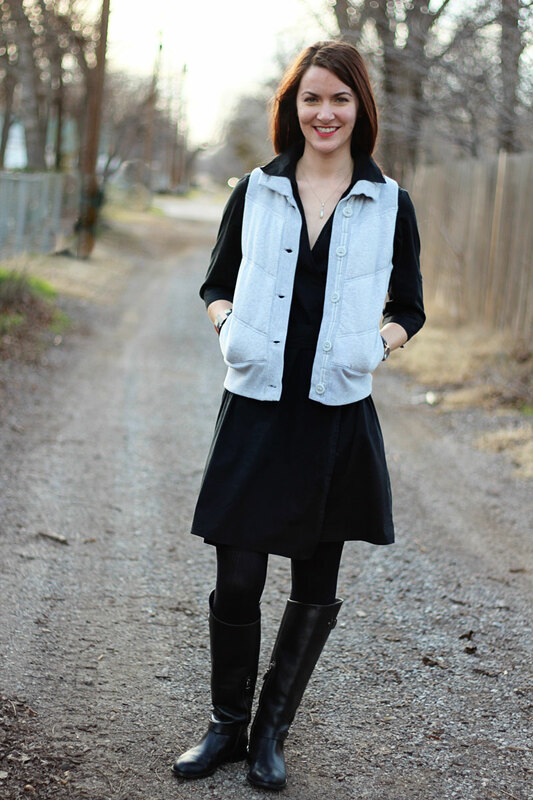 great way to layer and remix your LBD! I love it with the white sweater. I love how different the dress can look with different accessories. I especially like the tights & scarf version!